The Spoiler Alert signs are faith-enhancing adjustments to New York City subway platforms, creating opportunities for trust in the city’s most important institution in the face of its overeager self-quantified broadcasts. 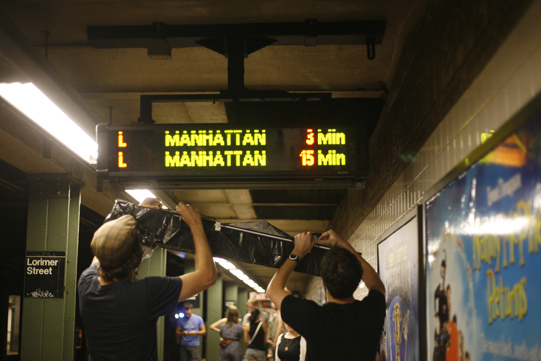 In 2007, the New York City Transit Authority began installing LED signs on subway platforms that display estimated wait times for arriving trains. Unfortunately the information is little more than trivia: except for a few stations, it is only visible to travelers after they’ve paid their fare, so the data has little bearing on commuter decision-making.